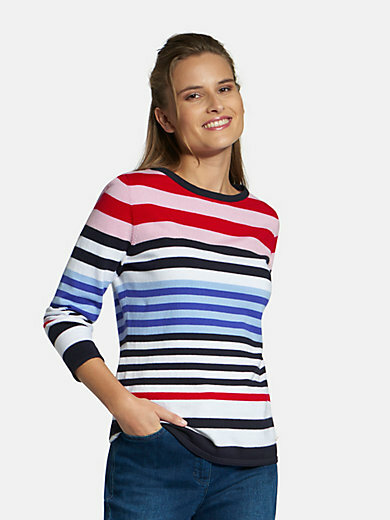 Round neck jumper by BASLER with long sleeves. Excellent quality, modern look. This typical BASLER jumper will win you over with its striped pattern and soft, skin-friendly qualities. 95% cotton, 5% cashmere. Length approx. 24ins. The round neck jumper is machine washable.